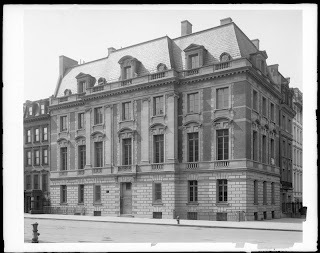 The William Starr Miller residence designed by Carrere & Hastings c. 1914 at 1048 Fifth Avenue and East 86th Street in New York City. 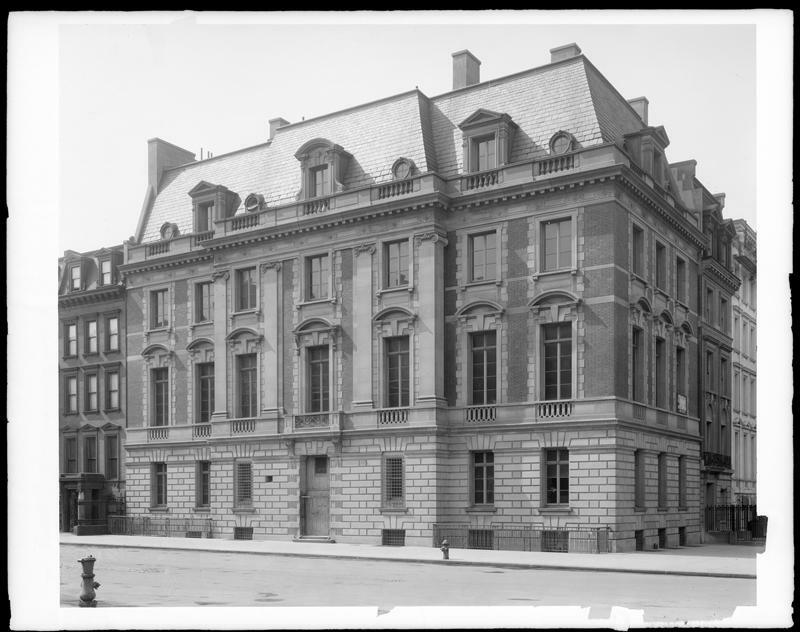 Miller operated real estate and his death notice in the NYTimes is unusually small, merely stating that he was a member of the Knickerbocker and Union Clubs and a graduate of Harvard. Today the house operates as the Nueu Galerie, click HERE to see the residence on google street view. Photo from the Museum of the City of New York. I've always loved Miller's Newport House, 'High Tide' by Warren & Wetmore. A really great combination of materials is especially appreciated in this urban setting. And it looks like the museum has done a great job in restoration and adaptive use. Admission is pricey, but it's a fascinating museum. [Miller's] death notice in the NYTimes is unusually small, merely stating that he was a member of the Knickerbocker and Union Clubs and a graduate of Harvard. Ahhh, so he was a gentleman then.